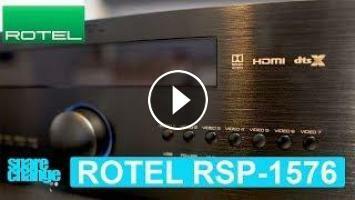 We unbox and take a look at the Rotel RSP-1576 Dolby Atmos DTS-X processor. Spare a dollar? Visit us at Patreon Support the channel. THANKS TO OUR PATREON SUPPORTERS! Feeble Unboxing: World's Smallest Dolby Atmos Home Theater Setup!